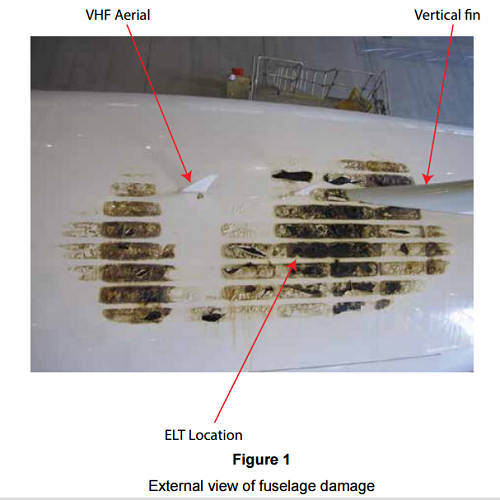 a) A thermal runaway failure of the lithium manganese dioxide battery in the ELT resulted in the uncontrolled release of stored energy within the battery cells. 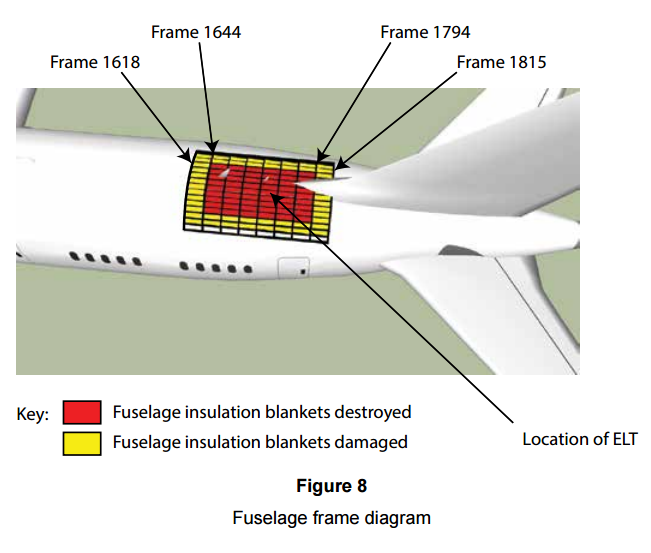 b) The location and orientation of the ELT, and the compromised seal on the battery cover-plate, allowed the resulting hot gas, flames and battery decomposition products to impinge directly on the aircraft’s composite fuselage structure, providing sufficient thermal energy to initiate a fire in the rear fuselage crown. 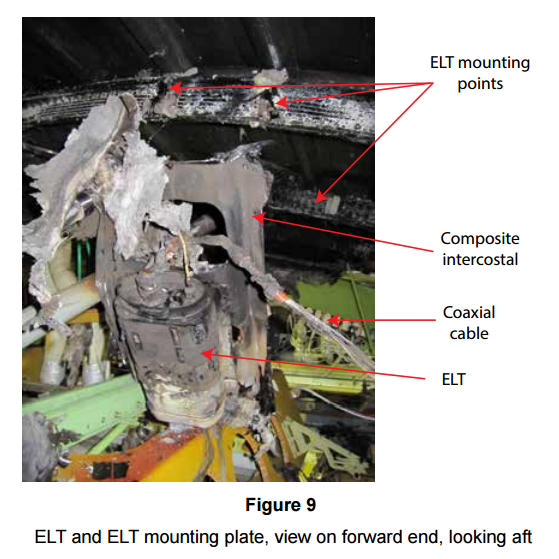 c) The resin in the composite material provided fuel for the fire, allowing a slow-burning fire to become established in the fuselage crown, which continued to propagate from the ELT location even after the energy from the battery thermal runaway was exhausted. 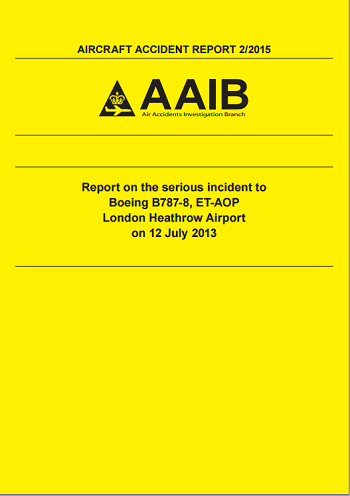 d) The Navigation Radio System safety assessment conducted in support of the ELT certification, did not identify any ELT battery failure modes which could represent a hazard to the aircraft, and therefore these failure modes were not mitigated in the ELT design or the B787 ELT installation. d) There was no evidence that the reset behaviour, and the implications of the variable switching point of the PTC, had been fully taken into account during the design of the ELT battery. 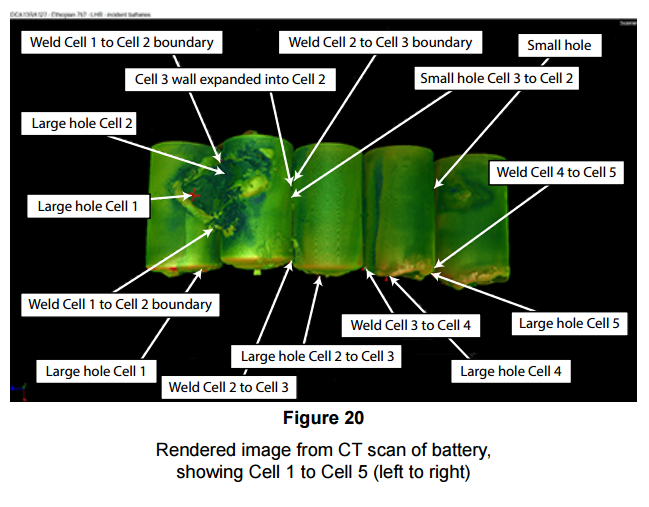 e) The absence of cell segregation features in the battery or ELT design meant the single-cell thermal runaway failure was able to propagate rapidly to the remaining cells.